Having sold out nearly every one of 60 previously announced dates, one more night has been confirmed for the band's iNNOCENCE & eXPERIENCE Tour 2015. A FOURTH show at Barcelona's Palau Sant Jordi will take place on Saturday, October 10th. Tickets go on general sale next Thursday, February 19th, at 10am local time. Tickets will be general admission on the floor and reserved seating in the stands. Qualifying subscribers will be emailed pre-sale details. 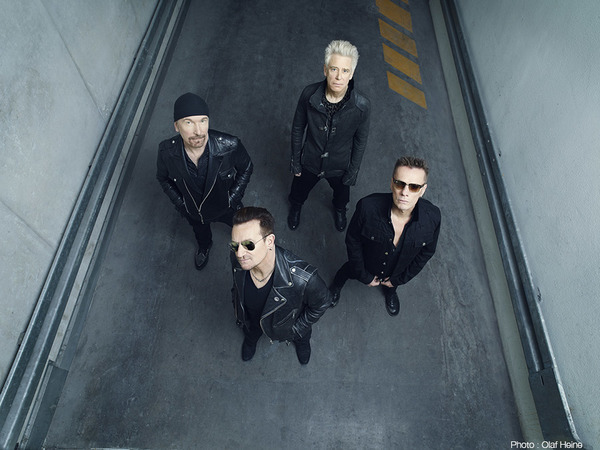 With the band performing multiple shows as they stop in different cities through North America and Europe, Bono has described how the band plan to mix things up. Below, the complete tour itinerary to date. All dates and ticket options here.